Here are the answers to one of the most common questions we have on the forums! Note: You must be viewing the Full Version of the forums in order to use the Attach Files option. Click on either the Reply to this topic button at the top of the page or the More Reply Options button at the bottom of the page. This will take you to the full reply editor page which has the Attach Files option. Do note that there file size limit to the files you can attach. If your file is too big, you may want to upload it to a hosting site then just provide a link to the file in your comment/post. 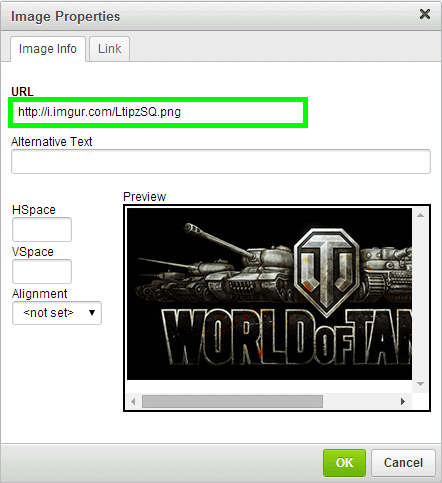 If the file you're attempting to attach is an image, you can also upload it to image hosting sites such as Tinypic or Imgur then use the direct link to post your image to the forums. This example uses the Imgur page. 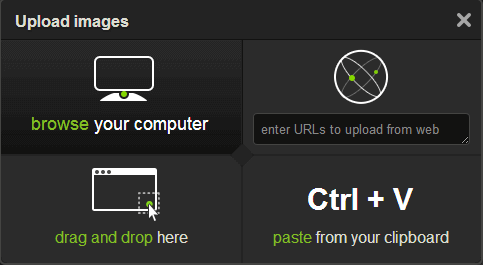 Go to the hosting site of your choice and click on the Upload Images button (or its equivalent). Get the direct link to the file. In this case, just remove the IMG tags at the beginning and end of the text to get the direct link. Note: Make sure that you select Original in sizes. Some hosting sites resize the images you upload. Select the Image icon in the forum reply box. Paste the direct link into the URL box. A preview of your image will appear so that you can see the image you're posting. Click on OK if you're happy with your image and it'll appear in your reply box, ready for use! Here's another reason to take advantage of our anniversary x3 EXP event! Win up to 1200 gold if you can beat the 3x3 challenge! Redeem the special x3 XP modifier 3 times in a row. Take a screenshot of the Notifications tab of the News to show this accomplishment. Submit your screenshot as a comment to this thread. Players may submit as many unique entries as they wish, but duplicate entries will be disqualified. Results notifications that have already been used for previous entries cannot be used for succeeding entries. Deadline of submission is at 20:00 (UTC+8) of 6th August 2015. 20 winners of up to 1200 gold each! The submission thread will open for entries on 2 August 2015 at 19:00 (UTC+8). In case there are more than 3 qualified battles that redeemed the x3 XP, the most recent 3 consecutive battles will be counted as entries. Screenshots may be resized as long as the necessary details are still readable. Other edits made to the screenshot shall deem them ineligible for the contest. Each player may submit as many entries as they wish but may win only once. Winners will be announced within 1 week after the submission deadline. Prizes will be awarded within 1 week after the winners are announced (usually sooner!). Gamescom is currently taking place in Cologne, Germany and we have a special challenge in honour of this special gaming event! Earn at least 1000 XP from the battle (XP will be based on the amount listed in the "Without Premium" box). Deal at least 1000 damage during the battle. Take a screenshot of the Personal tab of the Battle Results to show these accomplishments. Each entry must only contain the screenshot from ONE battle. Deadline of submission is on 16:00 (UTC+8) of 10th August 2015. 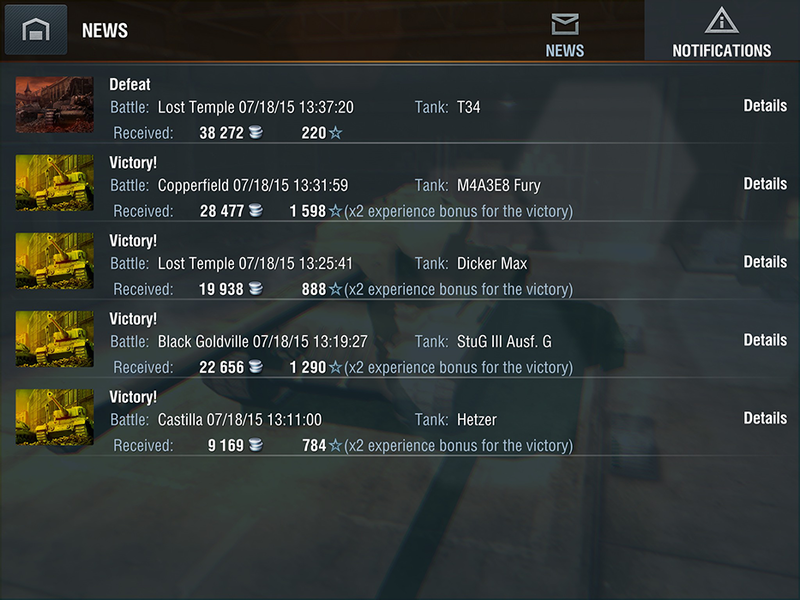 First 5 entries submitted using either a Tier 7 or Tier 8 tank. Submission sequence will be based on date of post or edit date, whichever is applicable. Randomly selected from qualified entries. The submission thread will open for entries on 7 August 2015 at 15:00 (UTC+8). Screenshots may be resized as long as the in-game name and other necessary details are still readable. Other edits made to the screenshot shall deem them ineligible for the contest. Winners will be announced within a week after the submission deadline. Prizes will be awarded within 2 weeks after the winners are announced (usually sooner!). It's Wargaming's 17th Anniversary and we have another special puzzle for you! Will you be one of the next winners of 300 gold? Solve the special 105 piece Wargaming 17th Anniversary jigsaw puzzle. Limited to ONE submission per player. Post the screenshot on the submission thread. Deadline of submission is on 6 August 2015 at 16:00 (UTC+8). #85905 Tokyo Game Show x5 Challenge! We're treating you to a special x5 First Victory EXP event in honor of Tokyo Game Show plus a chance to win gold when you manage to redeem it 3 times in a row! Open to all tank tiers. Redeem the special x5 XP modifier 3 times in a row. Deadline of submission is at 20:00 (UTC+8) of 20th September 2015. 20 winners of 500 gold each! This submission thread will open for entries on 17 September at 19:00 (UTC+8). In case there are more than 3 qualified battles that redeemed the x5 XP, the most recent 3 consecutive battles will be counted as entries. Esh told me to inform you ...... Clan 408 is a dead inactive clan . No requirement for joining clan . No need to apply . Anyone can walk in and out of that clan . Pin drop silence in clan chat . So he left the clan on his own . Yeah, very little ppl in that clan still play. Me and my friend plan to rebuild it end of this year. And drop the act. Most old-time forumers know you’re Esh. And you leaving doesn’t change the fact that you probably had some advantages from the Tier X clan supply. For forumers who who don’t know, Gandalf__Greyhame’s main account is Esh11. He used to (and still might be) a serial AFK and troller. Yup, he was one of those guys purposely AFKing around and trolling his teammates. I heard he even used bots to grind tanks. When he first went on this forum, many called him out for it. Eventually, he setup this new account to impersonate the original forumer Gandalf, who was a well-respected Aussie in this forum and a highly experienced player. He now uses this account to post troll stuff and be an [edited]on this forum sometimes. Fortunately, his true identity was exposed pretty quick. He impersonated the original Gandalf who only had one underscore between Gandalf Greyhame, and tried to use this account to spoil the original Gandalf’s reputation. The original Gandalf’s name is now The_Gaffer. Remember, this kind of person deserves no respect. So show him none. Players will need to sign up for the event through the forums by posting the words "Count me in!" In case your forum name is different from the IGN you when playing WoT Blitz, the comment should be "(Blitz IGN) - Count me in!" Example: Elphaba_WG - Count me in! Deadline for signing up will be on 23:59 (UTC+8) of 19 July 2015. Players who have signed up must play in a platoon between 00:00 of 20 July 2015 until 23:59 of 22 July 2015 (UTC+8). Get as many Brothers in Arms and Crucial Contribution medals as you can during the play period. Winners will be based on the total combined number of Brothers in Arms and Crucial Contribution medals acquired during the event's play period. Bonus category: Vengeance is mine! In at least 5 battles, destroy the tank that managed to destroy your platoon mate (goes into the count for the Avenger medal). 10 winners will be randomly drawn from qualified players to receive 200 gold each. Winners will be announced within 1 week after the play period ends. Prizes will be awarded within 1 week after the winner announcement. Here's your chance to get an additional 2 days of premium if you win the battle to redeem the 2 days premium for 2.1! Receive your 2 days premium via a victorious battle. 2 days premium added to account. Submit the screenshot with your in-game name (IGN) to the official submission thread. Deadline of entry submission is on 13 September 2015 at 12:00 (UTC+8). 20 winners of 2 premium days. This submission thread will open for entries on 12 September 2015 at 11:00 (UTC+8). Ever notice that there are destroyed non-player tanks that can be found in certain maps? Put your observation skills to the test and find these pieces of scrap metal before you get turned into one! Find a destroyed non-player tank before the timer reaches 6:00. Deadline of submission is on 9 February 2014 at 16:00 (UTC+8). The requirements of joining this clan are misleading . I had read a post of this forum before where the guy had claimed with photographic evidence that grumpy clan charged gold for joining the clan . I am sure someone can dig up that old thread . Once you have sent them gold they demand real money . Now that they have you trapped becoz you have already given them money they ask you for noods . A friend of mine told me that Snakeoil personally selects which noods he likes the most . Now you cannot completely rule out the possibility that all of this could just be a rumor but it is best to be vigilant . Being a good and responsible forumer I thought it was my duty to warn unsuspecting young players . You are a blight on this gaming community, you have had it in for GRUMP members ever since we called you out for being a professional pest in game for your contempt AFK behavior and in game anti social behavior. You are the person that needs to be banned. For the record GRUMP / SURLY on the Asia and NA servers have never taken or received gold from a present, past or prospective member of the clan. We are a bunch of like minded mature individuals who enjoy the banter and the game most importantly, one member I may remind you has turned it into his full time livelihood. Now mind your own business and get back into the box you crawled out of. What do you think will be featured in the 1.7 update? ignore Esh. He is a lonely kid who wants attention by being a troller and now, a semi serious forumer. People can't get into HCL . Both HCL clans are full . 408 is a public ..... okay i'll say public park . Anyone can walk in and walk out as they desire . I am generally pretty tolerant of all sorts but this Esh is one criminally stupid and beligerant troll. From trolling and going AFK with his HCL partners in crime to constantly misunderstanding everything, including plain English, his antics never cease. It’s not gold that will keep you from being accepted, Esh. Rather, it’s the no dickheads requirement. Can you win at least 2 games in a row using the same tank? Be one of the first 5 players to beat your own score for a chance to get the top prizes! Win 2 consecutive battles using the same tank. Take screenshots of the Personal tab of the Battle Results to show this accomplishment. Submit your screenshots as a comment to this thread. Each entry must only contain the screenshots from the two consecutive battles. Battle results that have already been used for previous entries cannot be used for succeeding entries. Deadline of submission is on 20:00 (UTC+8) of 14th July 2015. First 5 entries submitted whose base EXP for the second battle is greater than the base EXP earned from the first battle. This submission thread will open for entries on 10 July 2015 at 19:00 (UTC+8). #216101 How to get high tie tanks without grind ? If you can think of starting your channel then why can't I ? Hmm...maybe because you have a long history of being a bot user, a serial AFK and troller? 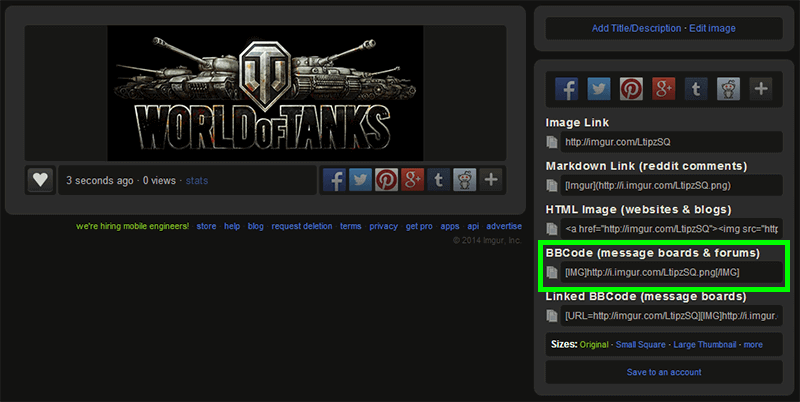 Mods, can you please create sub forums for each class of tank, with further sub folders for each tank? They have it on the US forum and it makes it easier for people to look for answers without constant reposts. It would be nice to be able to create some order in this forum. I know this has been done to death but I need to rant and perhaps, one day, Wargaming will hear a vague cry from their (apparently increasing) unhappy players if we keep it alive. I had a Supremacy mission among my missions tonight and figured I would knock them off before turning in. The two non-Supremacy missions were done in the first two battles. Over a dozen (12) missions later and still no Supremacy mission. It's one thing to struggle to complete it (say, if you get that ridiculous "Retaliation" mission) but to not even be given the chance to do so? I want to call that idiotic, that there should be a mode to play only Supremacy battles so that you can get a chance to complete these missions, but really I'm the idiot for sticking with the game when update 3.8 made it clear they aren't interested in satisfied players who play the game long-term and reason about how it all works. They want new players who haven't figured out they're getting the shaft, being milked for their money, until after they've already spent some. Well, perhaps I'm not totally stupid because I did stop playing the game entirely after 3.8. I just came back to get the Kuro from the event. Couldn't resist it, just want it in my garage. I will shelve the game again when I have it.